Allstate Corp. and Alfa Mutual group will cumulatively drop wind coverage on 14,000 homeowner policies in Mobile and Baldwin counties over the next 18 months, Alabama Insurance Commissioner Jim Ridling said Tuesday. The cuts will affect as many as 7 percent of all homeowners in the two counties. The moves are another jolt to Alabama’s ailing coastal insurance market. Since 2004’s Hurricane Ivan, Allstate, Alfa and State Farm Fire and Casualty have said they would drop wind coverage or all coverage on nearly 41,000 policies, according to Press-Register counts. Alfa spokesman Jeff Helms said models show his Montgomery-based firm has too much money at risk if a hurricane hits Alabama. “This is something we needed to do to make sure Alfa could continue to serve its policyholders and pay claims statewide.” Helms said of the decision to cut wind coverage from 5,000 policies. I sure do as the blogger who would become known as Bam Bam Bigelow authored the post on him for Slabbed late last month. Yesterday Judge Jed S. Rakoff lowered the boom on both Bank of America and the captured (and toothless) regulators at the Securities and Exchange Commission. 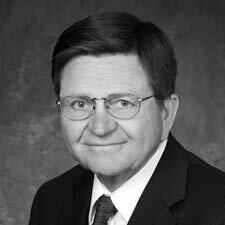 Nowdy, I sure do miss that SEC employee who had plenty of time to come here and trash the Rigsby sisters back in 2008 before George Bush and his band of idiots had to vacate DC taking their political hacks with them. 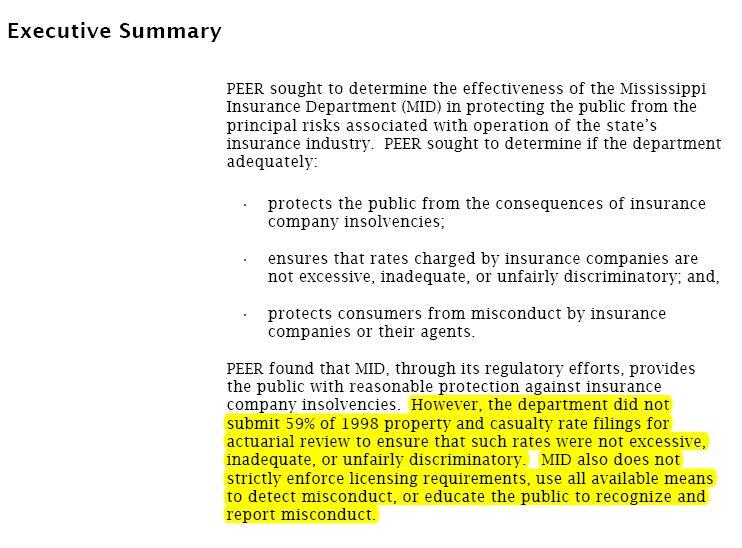 After all what was evidently more important at the SEC in 2008 than trashing whistleblowers? It sure as hell wasn’t regulating these companies that took us all to the verge of bankruptcy last year. As President Obama traveled to Wall Street on Monday and chided bankers for their recklessness, across town a federal judge issued a far sharper rebuke, not just for some of the financiers but for their regulators in Washington as well. Q. …….Would you be willing to chat with him briefly about this? He just has a much better grip on the issues in this case and I think that it would be more helpful to him to talk directly to you. A. Wow. I’m kind of torn here. I do this – I’m in this business because I like to see that people get every dime they’re entitled to and that’s what gives me satisfaction in this job. I think the companies screw over people regularly. On the other hand, I have had my neighbor suing me for four years on an easement that’s been in existence since 1920. I have been abused by a whole number of attorneys including the judge who likes to keep his docket padded and that’s why we’re in this situation. A. So right now, I have really had my fill of attorneys and don’t care to help one out. I wouldn’t help one cross a busy street right now. A. I don’t know how it was handled on the wind at all. A. The only thing I can tell him, which he probably already knows, is find out that adjustor has been an adjustor. Here’s a judge who took an oath of office, and lives up to it. An anonymous guest post. 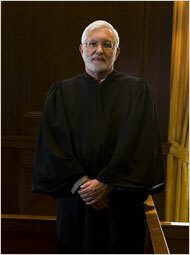 The judges name is Jed S. Rakoff, and he “sits” in the US District Court of Manhattan. He’s a man I could address as “Your Honor,” and sincerely mean it. He isn’t shy about stating that the public must be able to “see” what our court system is doing if they are to have any confidence in it at all. He’s adopted strict rules limiting what sort of materials may be kept confidential in cases before him. He calls this “transparency,” but what he’s really saying is this . . . every time a court does something under the table, (like sealing State Farm’s documents without any basis whatsoever), it demeans the justice system and destroys people’s belief in their government. We all know how corporate defendants constantly game the system with their pseudo “trade secret” claims. Good God, think of the horror stories posted on this blog alone. Sadly, these shameless lies presented in signed court papers governed by Rule 11 honestly standards are rarely subjected to the mandatory test for excluding discoverable information: (1) the movant has the burden of proving everything they withheld is a bona fide trade secret; and (2) a record finding must be made, based on facts and/or testimony, and the controlling law in discovery cases; and (3) all of this must be preserved in a public court record, susceptible to appellate review. Author Posted on August 29, 2009 Categories Judicial Ethics, Legal Ethics, Protective Orders, Regulatory Capture, SopTags Bank of America, Judge Jed Rakoff, Judge William Acker, Merrill Lynch, Renfroe v Rigsby, Securities and Exchange Commission, TARP criminal investigations7 Comments on Here’s a judge who took an oath of office, and lives up to it. An anonymous guest post.